Update! 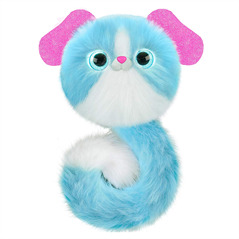 Pomsies Wave 2 with three additional Pomsies are in stores, now! 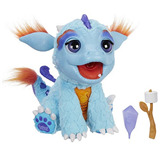 Skyrocket’s Pomsies are adorable, interactive, fashionable plush pets for kids to nurture, designed to travel with a child, either wrapped stylishly around a wrist or on a backpack. 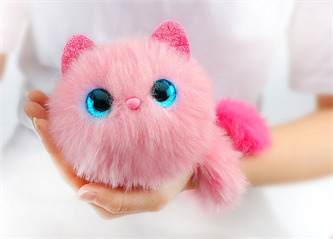 The pompom-inspired kitties have one mode for social play with friends, and another mode to encourage nurturing. 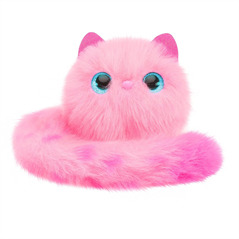 When the Pomsie is happy, sleepy or hungry, it will let a child know by changing its eye color and making cute kitty sounds. Pomsies can help a young child develop nurturing skills. 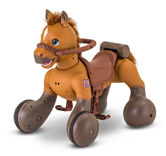 When the toy feels cared for over time, it even rewards its owner by developing rainbow-colored eyes. Many Pomsies to choose from!